Completing the final list of headliners for Green Man 2014, taking to the acclaimed Mountain Stage on Saturday will be the impressive Mercury Rev who're set to play their classic 1998 album 'Deserter's Songs' in its entirety. Also confirmed to play across the weekend are Augustines, The Field, Ben UFO, Joanna Gruesome, Ought, The Pooh Sticks,Vancouver Sleep Clinic, H Hawkline, as well as DJ sets from Huw Stephens,Heavenly DJs and Simian Mobile Disco. These already join the likes of previously announced Neutral Milk Hotel, First Aid Kit, Daughter, Caribou and The War On Drugs plus many many more not to mention the fabulous Talking Shop and Einstein's Garden areas. You can see an updated poster for the full list of acts below. 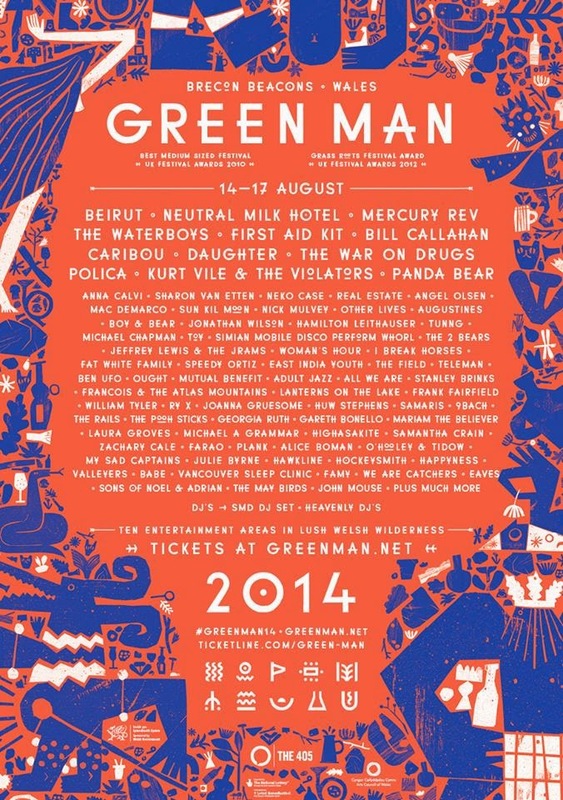 Green Man will run between 14-17 August 2014 set amidst the picturesque Brecon Beacons National Park. Tickets are available to purchase now from the site here.